Deficiency in Vitamin B1 Thiamine is the cause of beriberi, a disease that was found in Asia, in prison populations and among sailors. 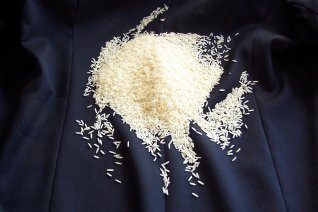 This vitamin is lost in the milling of rice to produce white rice as the whole grain rice is reduced to the supposedly superior and tastier white rice. Had whole grain rice been left alone it is likely that beriberi would not have been so prevalent, nor would it be so common in areas where polished white rice is still a major part of diets. It is also a good illustration of the idiocy of processing natural foods. Whole grains are a good source of fiber, minerals and B vitamins generally. So it makes no sense to mill grains. Parenthetically many milled grains are significantly higher on the glycemic index scale. The higher the total glycemic load in any meal the more glucose in the blood, the greater the need for insulin to keep your blood sugar within a specific band for maximum health. But continually spiking your insulin to deal with excess glucose over years can result in Type 2 diabetes, the so-called adult onset diabetes. Indeed, because of the over-processing of foods in western diets, it is becoming a problem in pre-teens and teenagers, not just in adults. For more on this go to our page on Healthy Eating by clicking here (opens in new window), or to our page on Diabetes by clicking here (opens in new window). No known toxicity with B1.